What is violence in intimate relationships ? How the treatment looks like? Why treatment of violent men? The treatment of perpetrators of violence programs are devised in accordance with international documents and with recommendations of the National Strategy for Preventing and Combating Violence against Women in the Family and in Intimate Partnerships, as one of the social services needed to prevent further violence against women. These programs of treatment of perpetrators, however, should not be an alternative to the penalties and security measures imposed on the perpetrators of domestic violence and other criminal acts which constitute violence against women. The National Strategy also presents the framework for dealing with perpetrators of domestic violence, and the assumptions on which to rest these programs, such as: the primary goal is to ensure the safety of victims of violence, then cooperation with agencies that provide support to victims. It is nonetheless important that the theoretical approach includes an understanding of gender violence and the sole responsibility of the perpetrator. In our current practice, work with perpetrators of domestic violence was sporadic, organized through project activities (Belgrade) or as a result of good inter-sectoral cooperation among institutions at a local level in the protection of victims of domestic violence (Kragujevac). Work with perpetrators of violence is approached in a more systematic manner in the framework of the project as “Combating Sexual and Gender Based Violence”, in which was also conducted a “Survey of good practices and a model of working with perpetrators of domestic violence” (Grujic, J., 2010). The aim of this study was to identify the best international experience in this field and select programs and models of work with perpetrators of domestic violence and intimate relationships that would be most appropriate for implementation in Serbia. The program for perpetrators selected for implementation in the context of the social protection system in Serbia was the one devised by “Alternative to violence” (Alternativ til Vold, ATV) in Norway. This model is based on a feminist theoretical basis and psychotherapeutic work that may include individual and group therapy. It was developed by a Norwegian professional center Alternative to Violence-ATV for research and treatment of perpetrators of violence and people who have witnessed or been directly exposed to violence. This is one of the first and most famous centers in Europe for the treatment of men who commit violence. Based on ATV models, treatment of perpetrators of violence, experts of this program in Norway conducted a training of trainers for the professionals from three Centres for Social Welfare in Serbia (Belgrade, Kragujevac and Nis). Upon completion of the training, based on the acquired knowledge and skills the initial teams of professionals who implement the treatment were formed. Initial teams also created and accredited a model of treatment of perpetrators of violence in partnerships. The program “Training of the professionals for the treatment of perpetrators of violence in partnerships” was accredited in the Republic Institute for Social Protection in July 2012 (entered in the register of accredited programs). Authors of the program thereafter conducted training of interested professionals in the territory of the Republic of Serbia. The developed Manual provides trainees with a theoretical framework to understand the phenomenon of domestic violence, and practical guidelines for the group work sessions in work with the perpetrators. Although in Serbia in recent years there have been positive developments at the legislative level, there is still no specific law concerning domestic violence, and therefore there is no legal regulation of measures for perpetrators of violence. Domestic violence is regulated in different ways in the Criminal Code, the Law on Gender Equality, the Law on Social Protection and Family Law. The National Strategy for improving the position of women and promoting gender equality (2009-2015), adopted at the session of the Government of Republic of Serbia in February 2009, has defined six priority areas, which are in line with both the identified needs of our society and with the recommendations made by the UN Committee on the implementation of the Convention on the Elimination of all forms of discrimination against women (CEDAW) to the Government of the Republic of Serbia. The fifth strategic area of the Strategy and the National Action Plan (2010-2015) is the prevention and combat of violence against women, and improvement of the protection of victims. Violence against women is recognized as one of the top six priorities in Serbia. The treatment programs for perpetrators of violence, do not explicitly appear in the National Strategy for improving the position of women and promoting gender equality. They are, however, in line with the recommendations of the National Strategy for preventing and combating violence against women in the family and in intimate partner relationships, which was adopted on session of the Government of the Republic of Serbia in April 2010. Working with perpetrators of violence is one of the first strategic pillars of the strategy, which is prevention, covering the field of tertiary prevention. Within the specific objective no. 3 ‘Preventing the recurrence of violence’, work with perpetrators should not be an alternative to penalties and security measures imposed on the perpetrators of violence, but it should provide conditions for the implementation of specific programs within the social welfare system. The project “psychosocial treatment of perpetrators of domestic violence as a ticket for lasting change” 15. September 2016. Education of new therapists 15. September 2016.  Copyright © 2019 Crisis Centre for Men Serbia. Powered by WordPress. Theme: Accelerate by ThemeGrill.